Thank you for making your move with Woodland Moving and Warehouse. Please take a moment to complete this survey about your recent move experience. Your feedback will assist us in improving our services by learning what pleased you and those areas where we can improve. How would your rate your overall satisfaction with Woodland's timeliness, courtesy, professionalism, and responsiveness in all phases of your move from first contact through delivery, to include any follow-up? How likely is it that you would recommend Woodland Moving to a friend, colleague or family member? Did you experience any loss and/or damage for which you might file a claim with Woodland Moving? We understand that moving somewhere locally doesn’t make the task any less daunting than moving long-distance. So, we offer the same personalized care and attention to detail that we give to our long-distance moves. 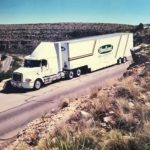 Whether you’re moving the newest member of your team or relocating your entire organization, Woodland Moving and Warehouse brings you the latest in logistics, technology and communication. We bring these capabilities to you in concert with our most important asset, our people. Our highly trained drivers, crew members, logistics staff and customer care coordinators work around the world to make sure your transferees are handled with compassion and care. At Woodland Moving and Warehouse, we believe that despite the extra work that goes into moving internationally, the process should be straightforward, exciting, and fun from start to finish. 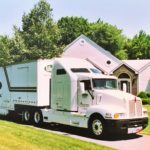 This is why we are proud to offer full-scale residential, corporate, and government international moving services in West Hartford, CT. If you’re moving and have a lot of household goods to transport and not a lot of time until you move, you may want to consider placing some items in storage until they’re ready to be transported. 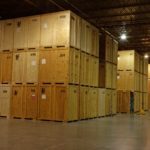 Moving is already stressful enough as it is, and seeking out a storage facility you can trust to keep your belongings safe may feel like yet another daunting task you have to deal with before moving day. WHY WOODLAND MOVING AND WAREHOUSE? Woodland Moving and Warehouse has more than 100 years of packing and moving experience. We strive to make the moving process as smooth as possible, whether you’re moving down the street or across the country. We specialize in all elements of moving household, office, commercial and industrial goods, and will work with you one-on-one to create a customized moving plan to suit your individual needs. We are dedicated to your satisfaction from the moment you contact us for a quote all the way through to when you unpack the last box in your new home. If you need assistance with senior moving in the West Hartford, CT area, contact us today at (860) 249-1949 for your free estimate! Choosing a mover is always difficult, Let us help you make the right decision.